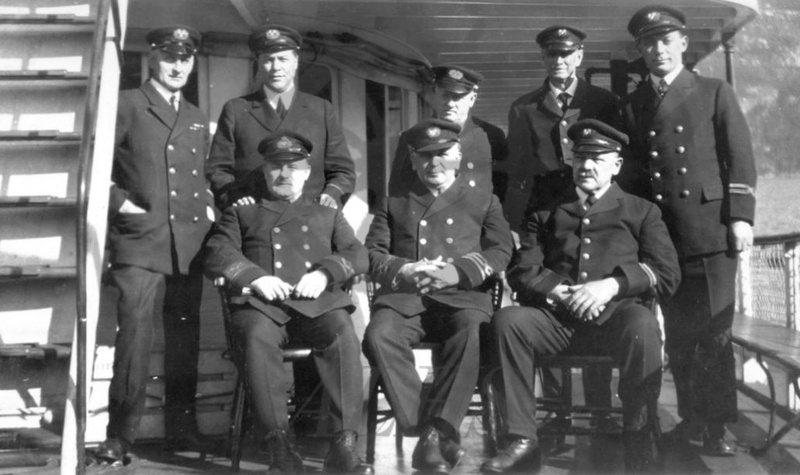 Crew portrait, SS Kuskanook, Kootenay Lake, 1924. 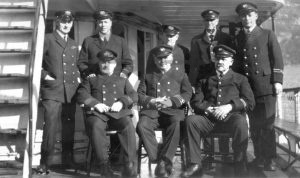 TOP(l-r): James Hurst (purser), H. Penny (freight clerk), William Carr (steward), William Boyd (2nd engineer), Walter Spiller (mate). BOT(l-r): F. Broughton (pilot), Walter Wright (captain), James Cameron (engineer).